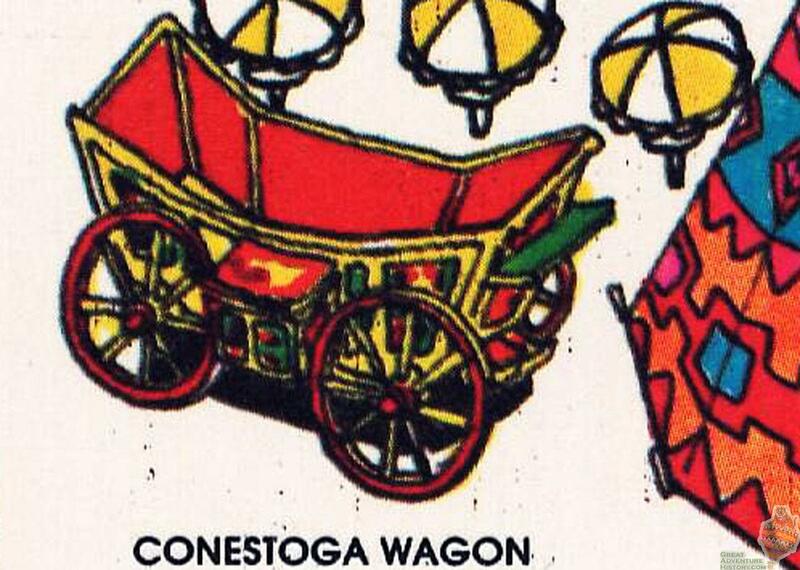 The original paint scheme of the Conestoga Wagon was very ornate. It's unfortunate that all those patterns and colors were painted over with a solid brown color around 1980. The Conestoga Wagon wasn't the only structure that was "simplified" by some uncreative painters during that year. The photos below show that the Carousel and Yum Yum Palace also had their detailed charm covered up. Very nice pictures there. I step back in time everytime I see those older ones. 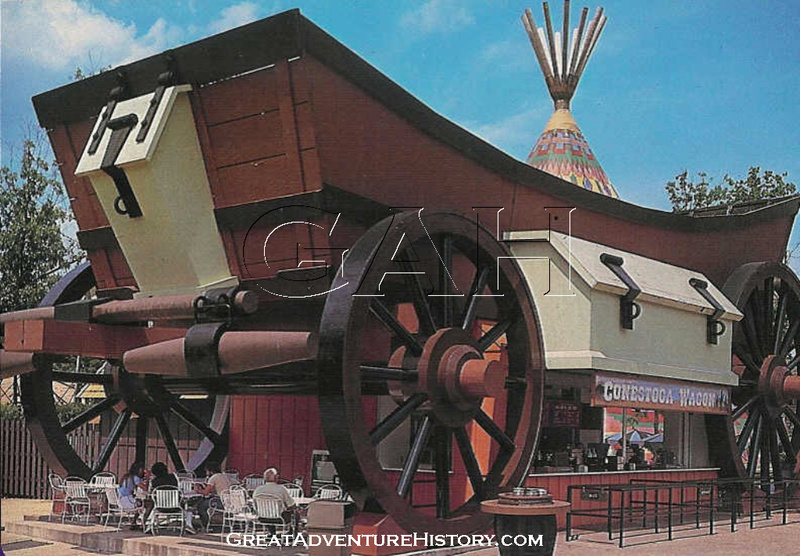 I remember for years it was rare for the Conestoga Wagon to be open, very nice spotlight of this neat building. 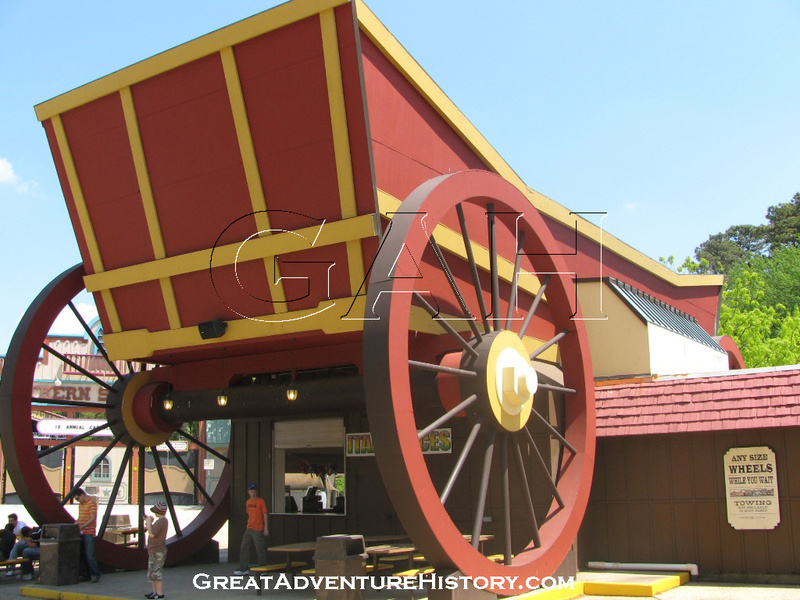 The increase in foot traffic created by the addition of Medusa has been key in keeping the Conestoga Wagon open in recent years. Having the bridge open between Frontier Land and Plaza de Carnival also has to help because with El Toro and Rolling Thunder in there, there is always a lot of traffic in that are as well. I know whenever we are over there we take the bridge through to both avoid some of the lines and head towards Medusa. That is a nice shortcut that bridge, I am glad the park changed their minds and reopened the bridge and walkway between El Toro and Medusa. But the walkway on the El Toro side of the river really needs more lighting, the last section of it before you go under El Toro is has no lighting at all and is so dark that I don't like taking that shortcut at night because of that section. Hopefully the park will fix that soon. 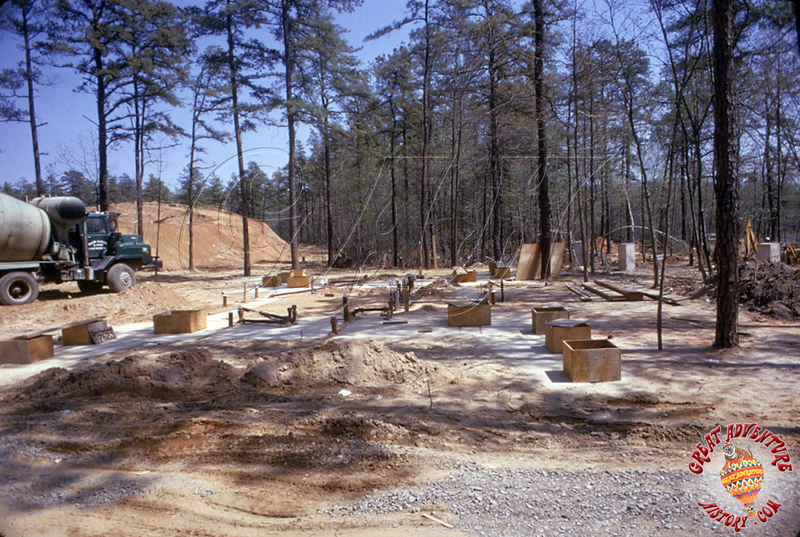 Although it doesn't show you much, below is a very early shot of the Conestoga Wagon under construction. 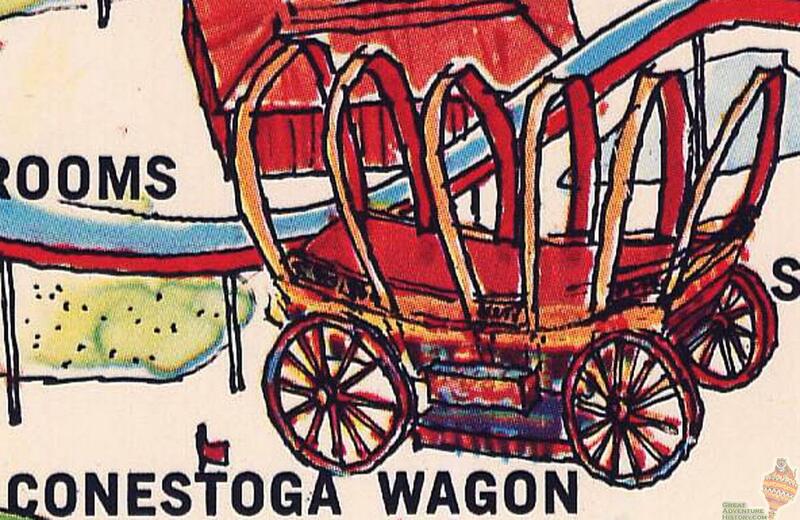 From the 1974 to the 1976 seasons, the Conestoga Wagon devolved from a covered structure, to a framed cover, to no cover on the souvenir park maps. 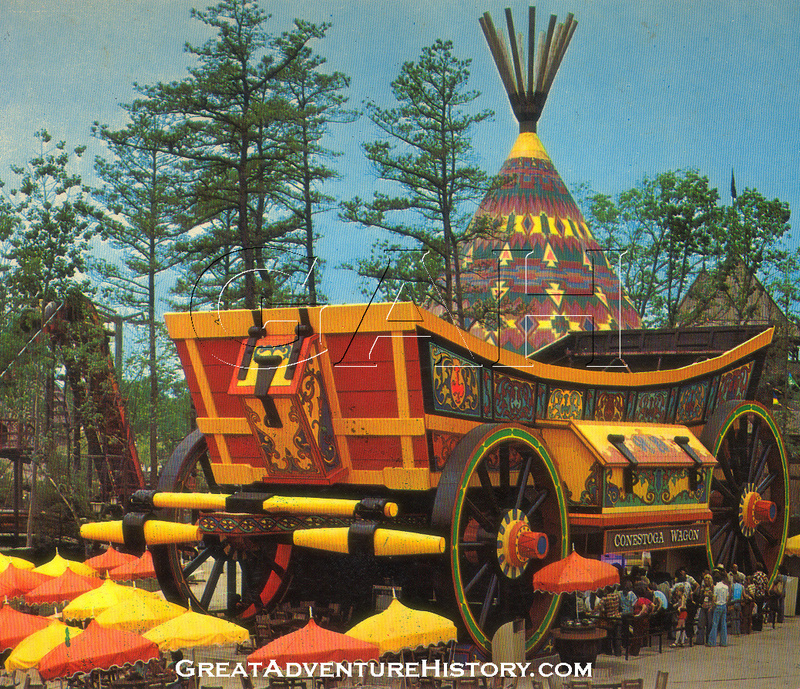 Besides the fact that Warner LeRoy was a very flashy guy, I wonder where he came up with the ornate color scheme for the Conestoga Wagon. Typically these wagons were just a plain brown or bluish color. The 1974 paint job looks more akin to a Mexican style wagon. 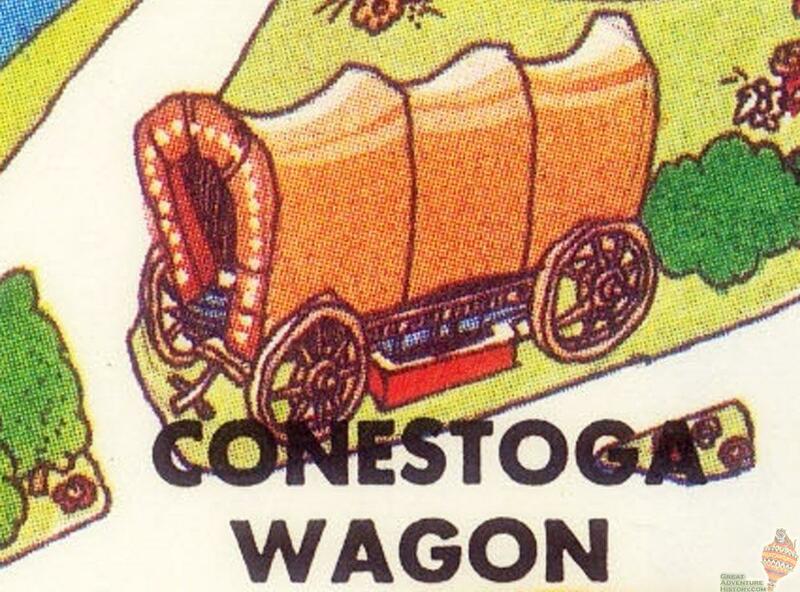 If you are a fan of the Conestoga, stop by for a snack this weekend. I'm really hoping it doesn't leave We already lost the Teepee. WHY! Rip down shoot out and put the entrance over there! Hope y'all listened up and filled up on them there vittles before the end of the season cause this here Conestoga Wagon has headed for its last sunset. It is sad, but it was really starting to show its age (from years of neglected maintenance) as well as being dangerous in our ever more litigious world, where no matter how many times you try to keep people from climbing the wheels, they always do, and are bound to fall at some point, and get injured and sue. It was looking pretty nice this year with its new paint job. The site will be home to the new loading station for the Safari Off-Road Adventure. Well that is very true, you can't go to the park without seeing one person climb on the wheel. That can happen with anything, even fences meant to keep people out are scaled over all the time. People are always hoping over the exit fence at Nito to jump back into the queue, so Nitro should be removed for safety then? However it's sad to see yet another icon removed and at some point the park will probably completely remove all the western theming. This is yet another reason I am disliking this safari adventure tour. As unfortunate as it is, its pretty understandable as to why its being removed. 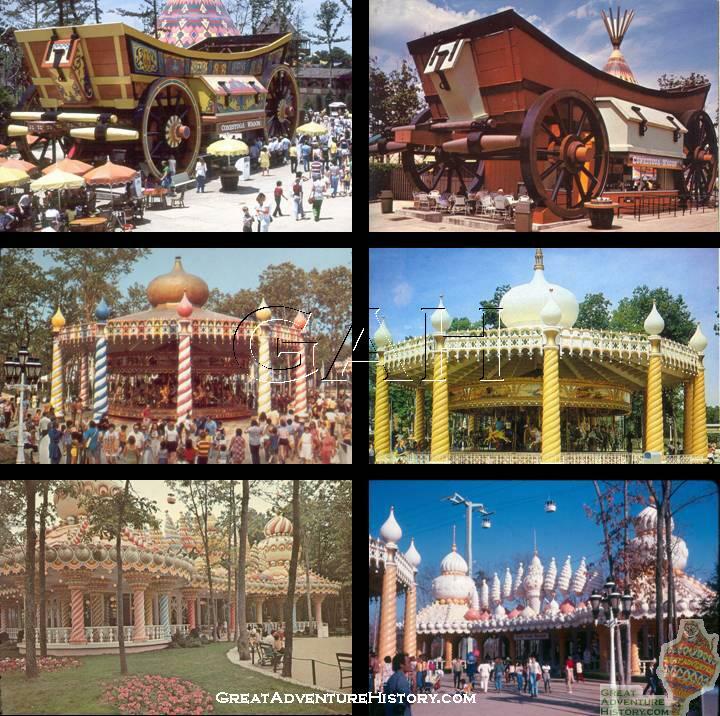 Much of Frontier Adventures was ...i mean is custom made wooden structures which in over time decay and end their life much sooner then a steel structure. 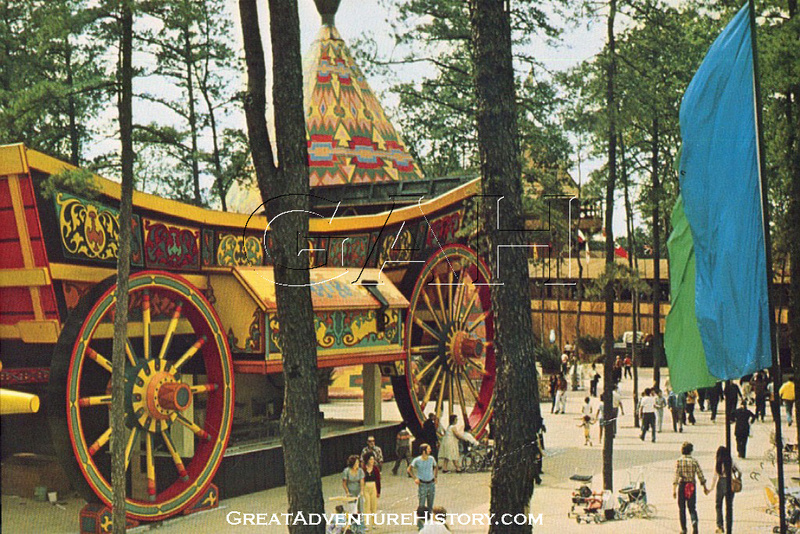 With the Tee pee and now the wagon to be gone, I'm curious if the Log Flumes Station is going to need to get completely rebuilt as well as the Fort sometime soon. 'm curious if the Log Flumes Station is going to need to get completely rebuilt as well as the Fort sometime soon. They need to be redone. Both of these structures are very old. The Log Flume especially needs it in the queue house.